In my research so far, Hart Levy Cohen is the earliest verified ancestor I have found. There are some others on other lines on my father’s side that are earlier, but not yet verified. But I am quite certain that Hart was my three-times great grandfather based on the census reports I have been able to locate in both English and American records. The earliest reference I have to Hart is a transcription of his wedding record from the Great Synagogue of London. I found this on a website called Synagogue Scribes, which provides a free, searchable database of transcriptions of the information from marriage and other records from the Ashkenazi synagogues in London. According to this site, Hart Levy Cohen, whose Hebrew name was Hirts and whose father’s Hebrew name was Leib, married Rachel Jacobs on January 29, 1812. I was thrilled when I first found this record because it provided me with not only my three-times great grandmother’s name, but also because it revealed my four-times great-grandfather’s first name. It also revealed that by 1812 Hart was living in England. 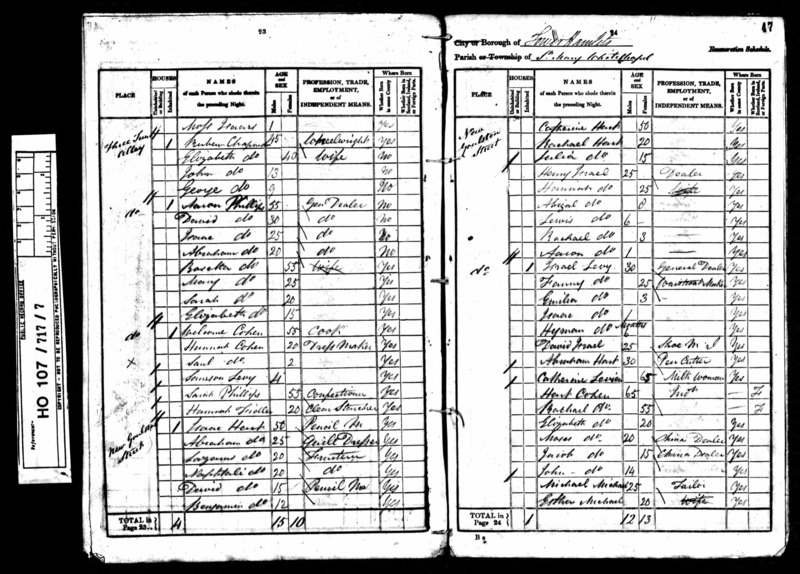 The earliest actual record I have for Hart is the 1841 English census, which lists Hart, his wife Rachael (sp? ), and four of his children, Elizabeth, Moses, John and Jacob. Jacob was my great-great grandfather. According to the census, Hart was then 65 years old, giving him a birth year of 1776. Rachel was 55, giving her a birth year of 1786. Elizabeth and Moses were both listed as twenty years old, Jacob was 15, and John was 14. All of the children were listed as born in England, but Rachel and Hart were listed as foreign born. Hart’s occupation was described as “Ind’t,” meaning he was of independent means, and Moses and Jacob were both described as china dealers. The family was residing on New Goulston Street in the St. Mary Whitechapel parish of Middlesex County in East London. 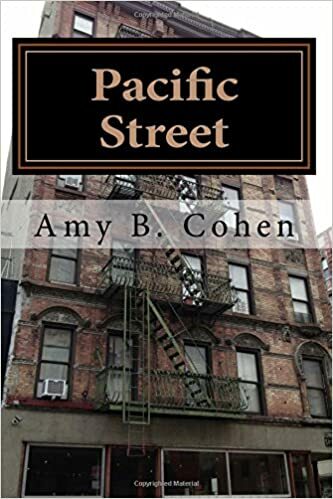 Scanning through the names and occupations of other residents of that street and nearby streets, I noticed that many of the names were Jewish and that many of the residents were merchants of some sort or tradespeople. 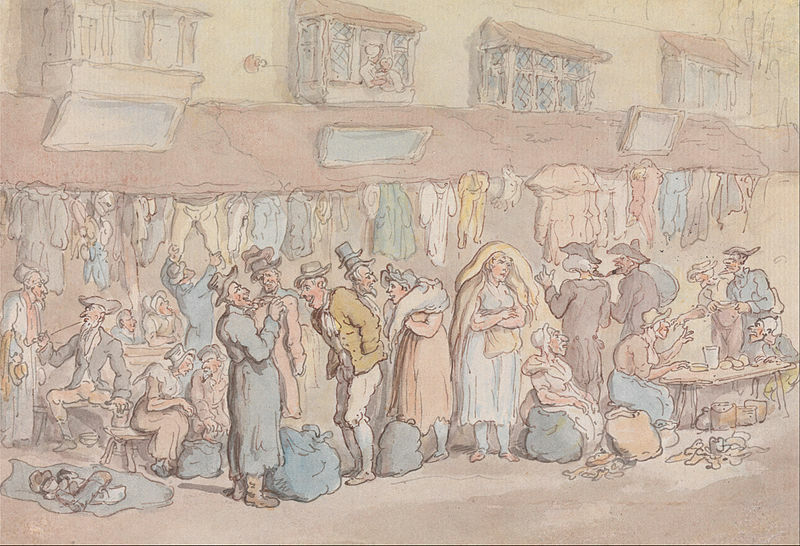 I knew nothing about the history of Jews in London, and thus studying this census led me to research that history in order to learn more about the neighborhood where my ancestors lived in the early 19th century. That, in turn, led me to read more about the history of Jews in England overall and specifically in London. Although I cannot do justice to the long and complicated history of the Jews in England here, a very brief overview may suffice. 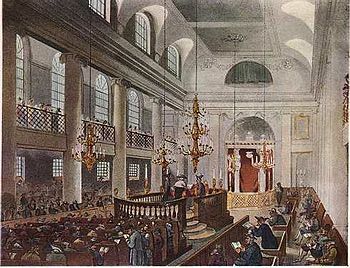 According to a number of sources, Jews had first settled in England during the reign of William I in the 11th century, but were expelled from England in 1290 by an edict of King Edward I, and there was no Jewish community thereafter until the 17th century when a community of Sephardic Jews from Spain arrived, although many of these Jews hid their religious identities. Eventually for political and economic reasons, the English acquiesced in the growth of the Jewish community, although there was still a great deal of anti-Semitism. Jews were not allowed to be citizens and were denied many of the legal rights of non-Jewish English citizens. In the 18th century, the Sephardic community grew both in size and in wealth and became quite successful, but Jews were still denied full legal rights. There was a short lived naturalization law passed in 1754 to enable Jewish men to become citizens, but it was repealed one year later due to widespread popular opposition. It was not until 1833 that Jewish men were emancipated and given full legal rights as English citizens. It would appear from the 1841 census listing, however, that Hart and his family were not among those poor. Hart appears to have been retired, and his two sons were china dealers. Perhaps their particular section of Whitechapel was not as poor as other sections. For example, their street was very close to the Petticoat Market, a clothing manufacturing center that catered to the well-to-do of London. UPDATE: Thanks to the help of my fellow blogger Su Leslie from Shaking the Tree, another of my very favorite genealogy blogs, I was able to find a map prepared by Charles Booth in the late 19th century that shows street by street the economic standing of the residents. He rated each street on a seven level scale from poorest to upper class. New Goulston Street appears to be purple on his map, meaning it was a mixed neighborhood with some poor residents and some comfortable residents. That also seems consistent with my scan of the census of their street. In the later part of the 19th century, there was a tremendous influx of poor European Jewish immigrants to London, just as there was in New York and other American cities, coming to escape the oppression, violence and poverty in East Europe. There was also a large immigration of poor people from Ireland during this same period. The Whitechapel neighborhood became even more poverty-stricken, and crime became rampant, including widespread prostitution. It was also during this period that Jack the Ripper, the serial killer, committed a string of murders and caused widespread terror. By this time, however, most of my Cohen relatives had left England and come to the United States. Only two of Hart’s six children remained in England by 1860. Why did they leave? And why did Hart come to England from Holland in the first place? Those are questions that I want to answer if I can as I dig more deeply into my Cohen ancestors. I also thought I had found earlier records for Hart in tax records from 1798, but I now think that those records were for a different person because I found a record dated 1768 at the same address, also for a man named Hart Cohen. These records require deeper investigation. There were six children altogether. Lewis and Jonah are not accounted for on this census. Lewis would have been 21, so perhaps was not living at home, but I have not yet found him elsewhere. Jonah would have been 12, so I cannot account for the fact that he is not listed, except to note that this was the first English attempt for a comprehensive census and undoubtedly mistakes were made. This entry was posted in Cohen, England, Genealogy, Miscellaneous information and updates and tagged Ashkenazi Jews, England, Great Synagogue of London, Hart Levy Cohen, Jewish, Jews, Judaism, London by Amy. Bookmark the permalink. Fascinating. Hard to think of Jewish history in England without thinking of Ivanhoe. My FIL was stationed there in WWII and said the anti-Semitism was appalling. Could be from recent immigration, I suppose, but it soured him on the country. I know so little of English Jewish history. This was eye opening. What’s with Ivanhoe?? More for me to research. The beautiful Jewish Rebecca as the “other” (in every sense) girl in Ivanhoe’s life versus the high born Lady Rowena. It was a “mythic” romantic tale for generations of British (and Americans, too). I guess I never read Ivanhoe. Thanks for the info—I guess I need to add it to my list! Be prepared. Sir Walter Scott’s books are very long romantic adventures. I read one for a grad class where I literally had to look up the definition for 17 words on the first page. It’s amazing what people used to love to read. Maybe that’s why I never read it! I will have to give it a try. Hi Amy. This is fascinating stuff. Have you ever watched the UK “Who Do You Think You Are” programmes? I seem to remember there is a lot of Jewish history in quite a few of them (Stephen Fry, David Baddiel, Nigella Lawson … and lots of others). Also, have you seen the Booth maps http://booth.lse.ac.uk/. You probably know this but Charles Booth was a Victorian reformer who carried out social condition surveys in London in the late 19th century. He created poverty maps, which show almost street by street the conditions in which people lived. The LSE holds the archive of his papers including notebooks relating to the Jewish community in the east end (http://library-2.lse.ac.uk/archives/pdf/Jewish_notebooks.html). Good luck with your researches; I’m learning so much reading your blog. Hi Amy. Sorry LSE is London School of Economics. I’m naturally biased, but I think the British version of Who Do You Think You Are is infinitely better. It’s the original and I think takes the subject a bit more seriously. There is a lot less recapping, so they get through more material and – although I haven’t seen as many US WDYTYA episodes – I feel the British one doesn’t dumb genealogy down as much. Anyway, if you can get hold of some of the UK episodes it might be useful. From memory, Nigella Lawson’s ancestors spent time in the East End. It was quite usual for Jewish family (like most immigrants to London) to settle in the East End and when they “made it” to move further north to the leafier suburbs of Hampstead, Finchley, Golders Green, etc. I looked at that map, but am having some trouble reading street names. The lower map has the street names more clearly but I don’t know how to interpret the colors since they are different from those in the key. Any tips? Thanks!! You’re welcome! And thank you for mentioning Shaking the Tree in your update. I’m sure I remember seeing something about Jews from Holland going to the UK in the 18th century. I’ll go have a coffee and see if I can remember what it was and send you the reference. Cheers, Su. Thank you for any clues you may have. I was in Amsterdam last spring and tried to find some records of Hart and his family, but even with the help of a specialist in Dutch Jewish genealogy who worked at the Archives, I had no luck. Like looking for a needle in a haystack! Some ancestors are so elusive! I just checked the BBC website for WDYTYA – and I think the person I was thinking of was Nigella Lawson, but her ancestor went to England from Holland to escape a prison sentence I think. Sheila Hancock also had Dutch ancestors, but it’s not clear from the article if they were Jewish. Sorry I can’t be more help. You could always see if your library has the box sets of the programme – it’s worth watching for its own sake and also because so many of the people featured are Jewish or have Jewish ancestry. I don’t think British culture (especially the media) would be quite what it is if so many Jewish refugees had not gone to Britain! Thanks for looking. I will see if I can find copies of the British version. Meanwhile, I am trying to do some research online about the Dutch Jews and the English Jews who came from Holland. Thanks again!